Google is admitting responsibility for the first time ever. 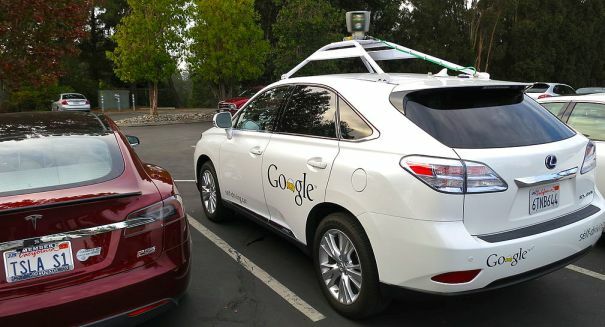 A Google self-driving car crashed into a bus while in autonomous mode in California, and the tech giant is for the first time admitting that its car may actually be at least somewhat responsible for an accident. The car collided with a public bus on Valentine’s Day in Mountain View near the company’s headquarters. The accident report was posted by the California Department of Motor Vehicles after Google reported the accident. The DMV didn’t say who was at fault, but Google admitting partial responsibility for the accident, according to a Mashable report. That’s a big deal, because although there have been other accidents involving Google self-driving cars, the company has always blamed human drivers. This time, Google is acknowledging that the technology isn’t perfect. It wasn’t exactly a high-speed collision, fortunately. The car was moving at just 2 miles per hour when it struck the bus, which was moving at 15 miles per hour. No one was injured. The car had some damage to the front fender and a wheel, as well as one of the sensors on the driver’s side. There were 15 passengers in the bus as well as the driver, and none were hurt. There was only minor damage to the bus. Google said that it has some responsibility, and it is the type of crash that commonly happens when human drivers misunderstand each other. Essentially, the car was trying to navigate around some sandbags on a street when the left front of the car collided with the bus. All autonomous cars have a human driver in them to take over if necessary, but in this case the driver did not because he thought the bus would yield, according to the report.